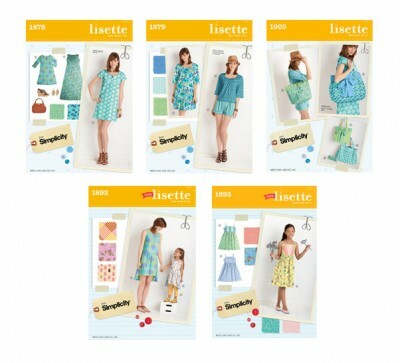 We’re happy to announce that our new sewing patterns for Spring 2012 are now available! 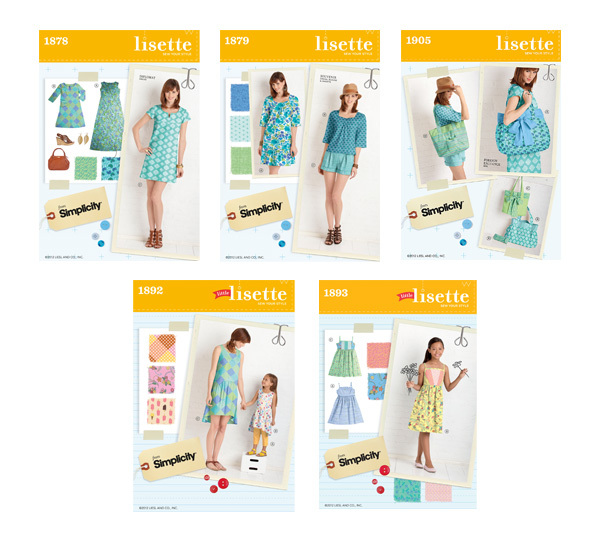 This season we’re releasing five new items: two Lisette garment patterns, one Lisette handbag pattern, and two Little Lisette styles. We hope you enjoy sewing with these new styles! My favories are the Foreign Exchange Bag and pattern #1893! Debbie, there aren’t any plans for that at this time. I just love all of these patterns. Our Joann’s store had a sale on Simplicity patterns about a month ago and I saw the sample sewn outfit and patterns in a display and had to pick up some. I am finishing up hairdressing school and we are required to wear solid black or white clothes…how boring right? These cute designs inspired me to make some of these tops and dresses for the spring and summer that is fashionable yet still functionable as well. I also purchased one of the Little Lisette patterns for my daughter and have made her two dresses so far. I look forward to picking up the new spring patterns as well!